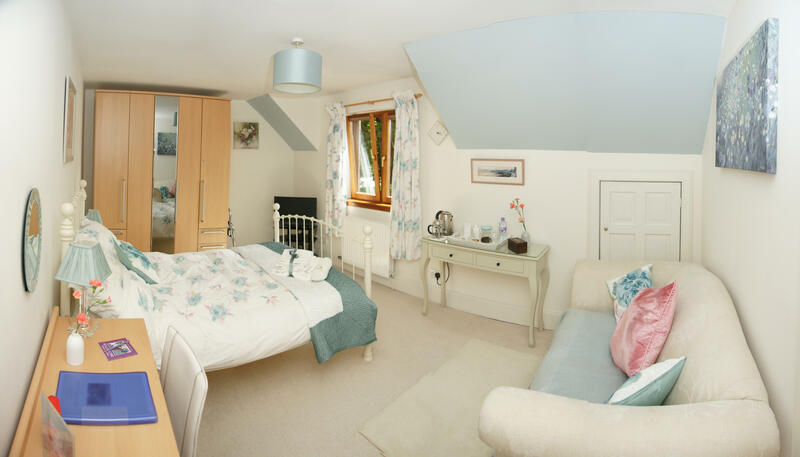 ‘The Gareloch’ Guest Room A very comfortable, recently refurbished, beautifully appointed sitting/double bedroom with TV, DVD/blu-ray player and free internet access. Separate, private bathroom in close proximity. The room enjoys south-westerly aspects across the garden. 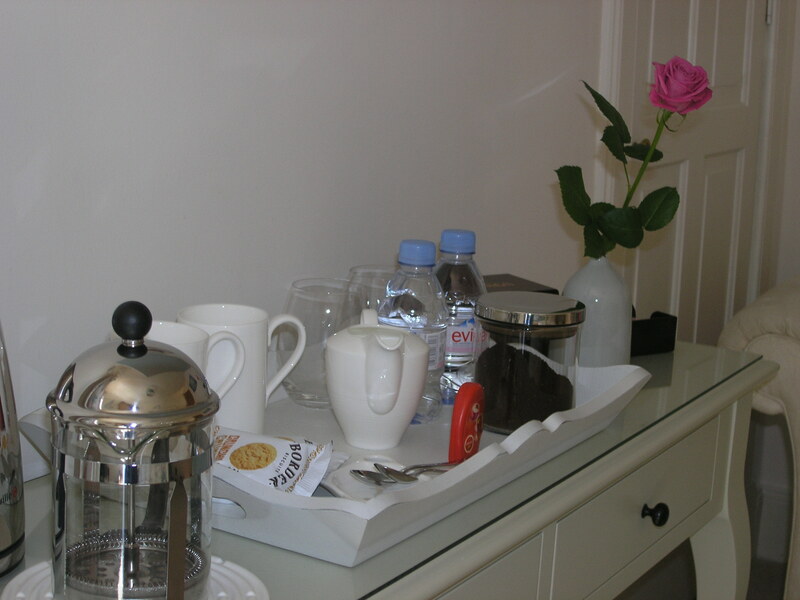 A selection of Twinings speciality teas, ground coffee, bottled water, biscuits and Hotel Chocolat speciality chocolates are provided for guests’ enjoyment. 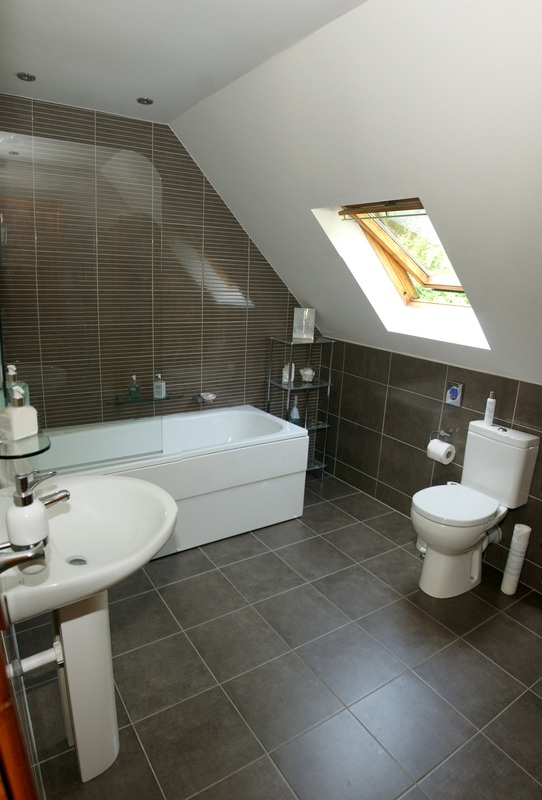 Recently refurbished, this beautiful Porcelanosa bathroom is finished to a very high standard and offers bath and shower facilities for sole use of the Gareloch room. It is close to the guest room. Fluffy towels, bathrobes, slippers and Arran Aromatic toiletries and other products are provided for our guests’ comfort.